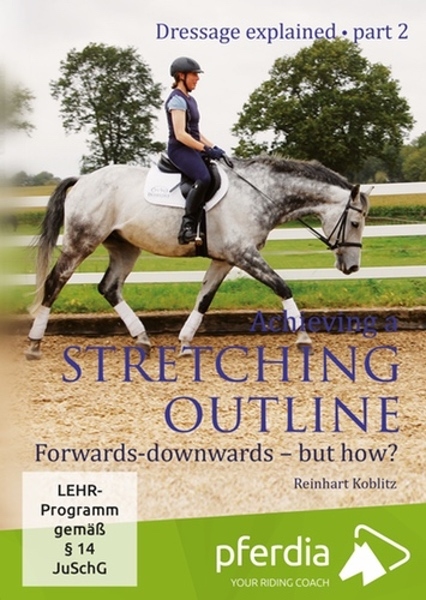 Riding with a stretching outline is one of the most important parts in successfully educating a horse. It helps the young or uneducated horse to carry the rider more easily and build the correct muscles. 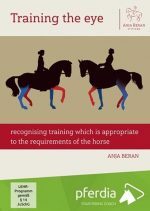 For the more advanced horse it provides an opportunity between the intensive phases of work to relax and for horses that have a history of being badly ridden or trained, the correct stretching is a deciding factor in re-establishing “Losgelassenheit”- suppleness and relaxation, physically and mentally. But what does a correct stretching outline look like? What happens physically? What must a rider do to achieve this and when should one ask for it? This DVD gives an easily understood and detailed guide. We have Helle Katrin Kleven, well known equine Physiotherapist, to explain the bio mechanics for us. Then we have Ingrid Klimke, together with the late Paul Stecken, giving an insight into her training of young horses. 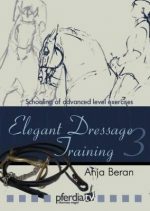 Lastly Uta Gräf and the successful Damon Jerome show us the important principles when schooling a horse. Reinhart Koblitz is a riding instructor with over 40 years of experience assisting and developing his pupils from the very first riding badge through to the highest level of competition and the Olympics.